By definition, Enterprise Search is a business solution that is owned and controlled by your organization, and connects people to the information they need to get their jobs done. Enterprise Search is owned and controlled by your organization. – But the challenges vary from organization to organization. There’s no one-size-fits-all solution for Enterprise Search. Instead, each company has its own culture, content, challenges, capabilities and confines. … and many other things. When we provide Enterprise Search services (any service), it’s critical to understand the culture of the organization. Don’t forget: the goal is always to serve the (human) users, to make their work easier and lives better. What type of content has the organization? What are the main characteristics / properties of the content? What categories / classes of content can we identify? What is the value of the content? What is the lifecycle of the content? Where is the content stored? Who are the content creators / contributors? Who are consuming the content? What are the main content consuming scenarios / use cases? Knowing the content means knowing what to present to the users. 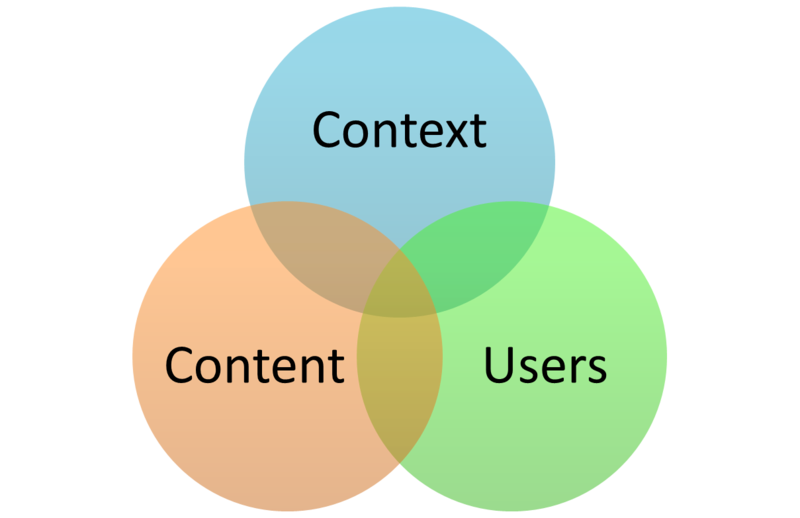 Moreover, if we understand the users and their intent (context) as well, we are also able to plan what they need in what case, what content has to be boosted (by a SharePoint search query rule, for example), what has to be removed or filtered out, etc. – and then we’re on the right track to provide a good Search solution. Each organization has smaller or bigger challenges. Some of these are findability demands (”We want to be able to find this and that”). Some are business process requests (”In this step we need this and that information.”). Some others might be not related to Search for the first sight (”We need help with this decision-making process”). People had to visit several applications in order to access the content they needed. Cross-continent network latency was very high, and accessing content was slow. Their existing Search solution did not include each content source, was out-of-the-date and had very limited functionality. Their previously existing Search solution did not fit into their long-term content strategy. They wanted to have a very innovative solution, which is feasible today and also can be used a few years later without making any compromise. A legal company, with hundreds of lawyers, had a big challenge with their process of searching precedents. It was a real burden: lawyers and their assistants spent weeks by searching for similar cases in the past. They had to do an insane amount of paperwork and research, and still: they couldn’t even be sure when the task was “done”. A global manufacturing company didn’t have such a clean Search Strategy. While contributing into their content management project, we have been having many discussions about findability and information discovery, and their strategy is still evolving. As of today, they have already implemented or planning to implement several Search-Driven Dashboards to display aggregated information on to the users (for example, Phone Book, My Active Tasks, Latest Content, Most Active Users, etc.). Although the “big picture” is still not final, their users can get some immediate benefit from Enterprise Search already. Of course, every organization has unique capabilities as well. When providing Enterprise Search services, we have to rely on these capabilities, as they can amplify the success. Understanding these capabilities is critical. – Similar to our own personal development (and our kids, too! ), we have to rely on these strengths and ride them. We find boundaries everywhere. Confines in business are to set the rules, to keep the organization and its employees safe. Being either an employee or an external consultant, we have to know and respect these boundaries. Of course, some of them might make working in the Enterprise Search arena very hard or at least challenging. For example, once I was invited to work on the Search Strategy of a company, who didn’t want to share any details of their content (see above). Obviously, I didn’t want to get any of their super sensitive research documentation, but I needed to understand what kind of content they had and how they would use them. In the end, we agreed on an interview, where I ask my well-prepared content related questions and they answer as much as they want, in as much details as they feel comfortable with. This way, I learned enough about their content, while they didn’t feel to disclose any sensitive information. In case of the manufacturer company, I am not allowed to get into their research workshop halls, because their top secret processes happen there. In case of the legal company, getting a VPN connection for the implementation phase was not allowed at all, we had to work on site. You get the point. The key is to be collaborative, in order to provide the maximum value while respecting the boundaries. These are the five key elements to be considered when talking about Enterprise Search. Missing any of them might result in serious issues and conflicts later – while our main goal is definitely providing value and making our customers’ lives easier. Appreciate you sharing, great forum.Thanks Again. Great.